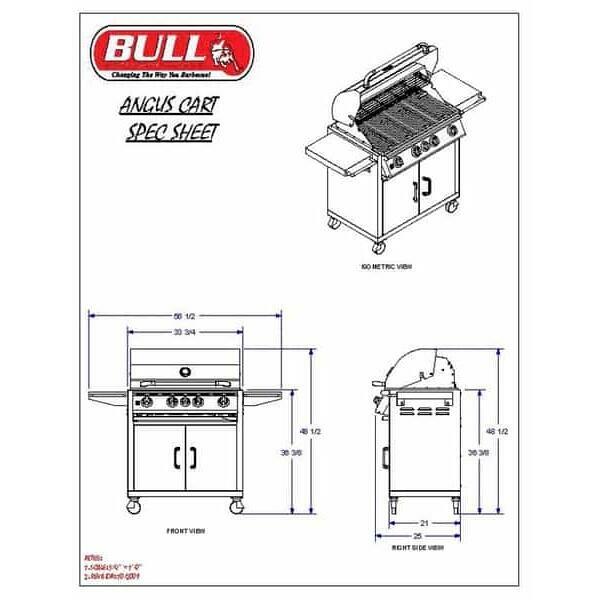 The Angus Cart features the namesake grill head on a mobile cart with storage and workspace. 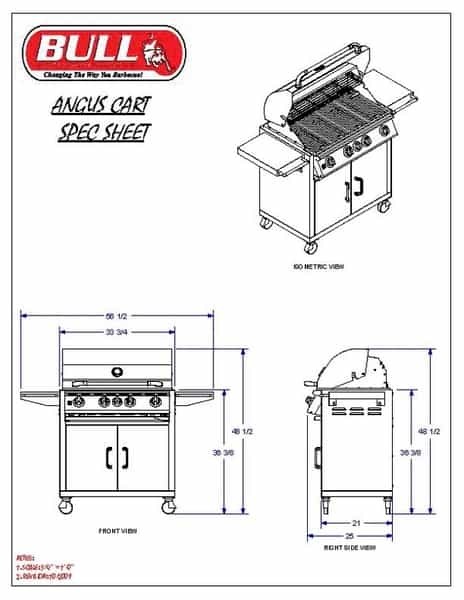 This featured cart runs on liquid propane, and the propane tank may be stored in the lower storage cabinets. 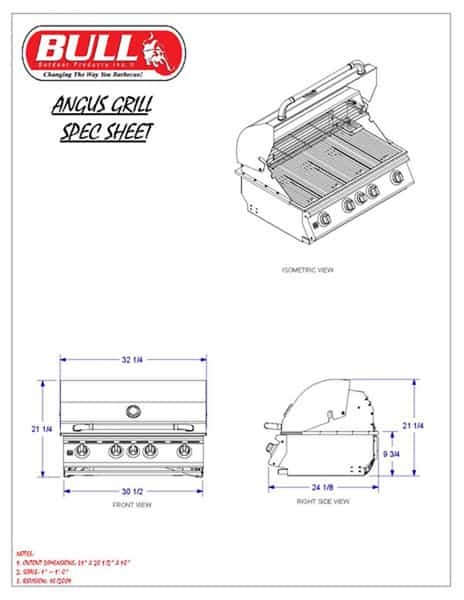 The liquid propane fuel source keeps the Angus Cart mobile, so you can move it around in your backyard, or even to a tailgating event. 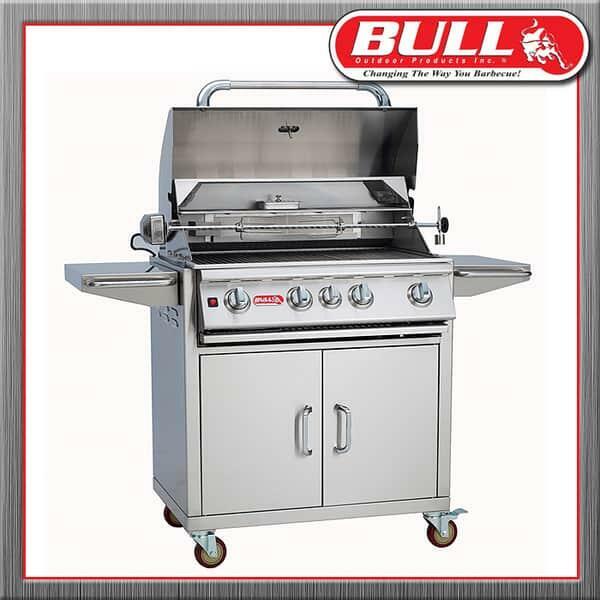 All of the burners ignite with a push-to-light piezo system, so the grill requires neither electricity nor batteries to run. 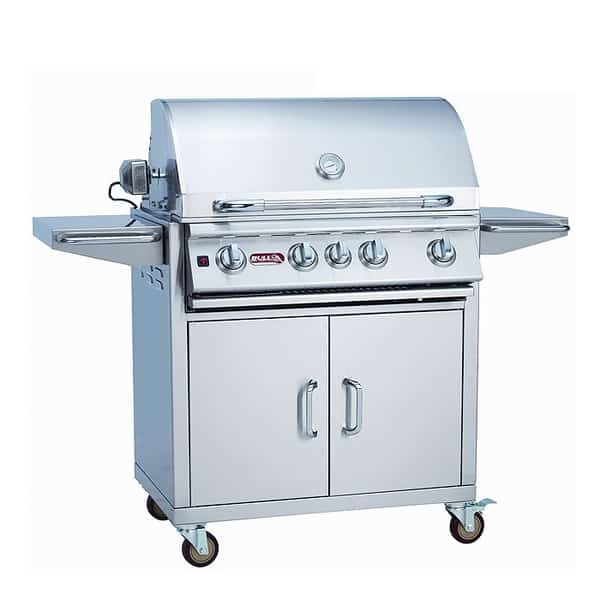 Keep it classic when you cook over 24 burgers simultaneously for a Sunday afternoon block party. Or, let the rotisserie and stainless steel rotisserie motor do the work for you, and start your evening with a spit-roasted full chicken. And how about those nights when you’ve finished cooking, and your beloved isn’t home yet from work? Call upon the convenient warming rack. 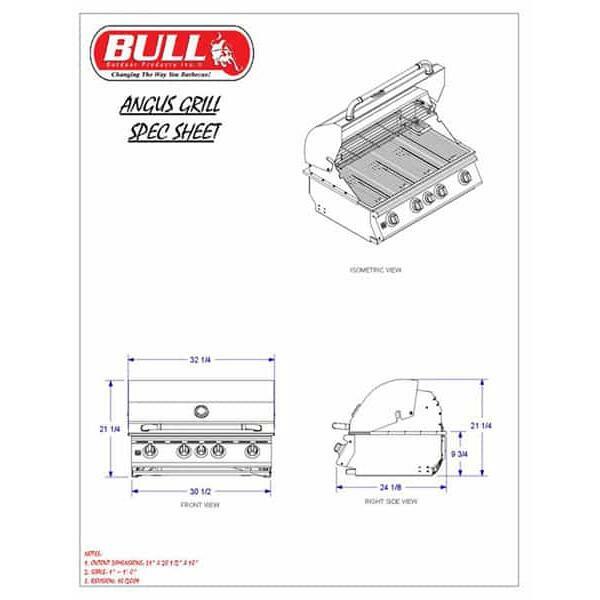 If kicking your grilling game up a notch is your priority, Angus will offer you a host of new cooking opportunities.